Double Layer Skirt Tank Dress. This tank dress features full front lining and modestly scooped necklines. Made of a cotton and spandex blend that is soft and resilient. 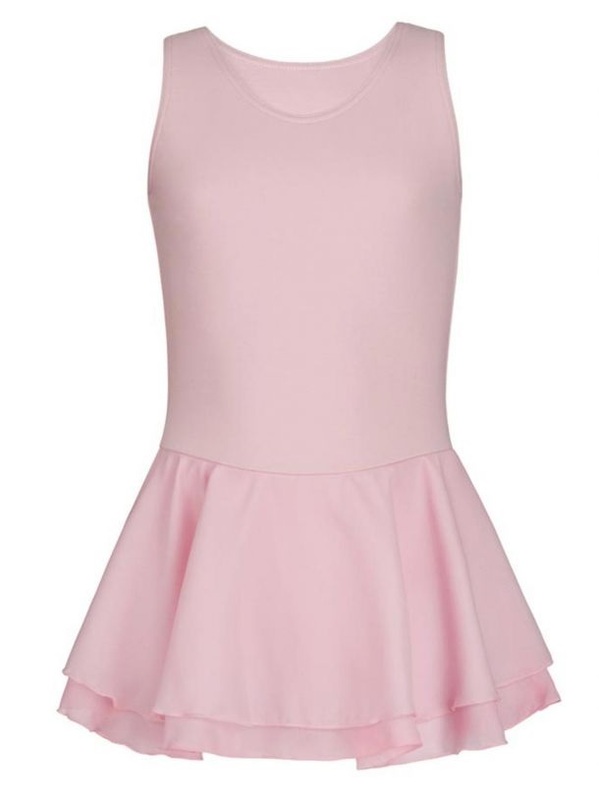 The double layered skirt will create a classic ballerina feel your rising dancer will love.